Who knew how easy it would be to make your own homemade apple sauce. Since I still have tons of apples left over, I decided to make my own apple sauce. Next time your at the supermarket think twice before picking up a jar. 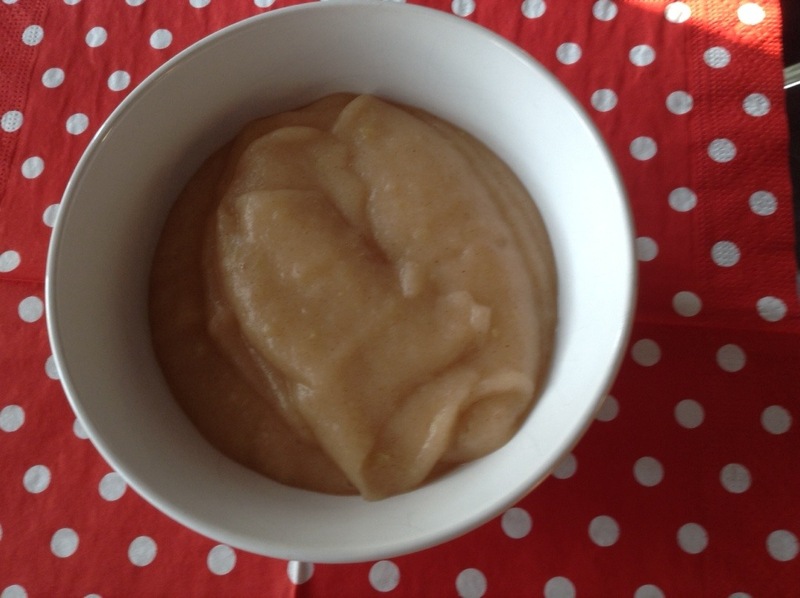 Just think you can choose your favourite apple and in a matter of 10 minutes have homemade apple sauce. Peel and cut apples into 1/4″ pieces. Get out a steamer and steam half the apples for 15 minutes and place into food processor. Then add the second batch of apples and follow the same steps. Add cinnamon to the food processor and blend until smooth. Place in container and cool before serving.